I understand that by submitting this form, I am R.S.V.P.ing for the 2017 Harvest Moon Dinner on September 9th at Frog's Leap. I further understand that $225.00 per person, for the number of guests indicated above, will be processed to the credit card on file for my membership and these reservations are transferable but are non-refundable. Thank you for your R.S.V.P. to the 2017 Harvest Moon Dinner! This is your confirmation; your party has been added to the guest list. We are thrilled that you'll be joining us to kick off our 37th harvest season! You'll receive a separate confirmation once your reserved seats have been processed to the credit card that we have on file for your membership. Please email fellow@frogsleap.com should you have questions or if you or your guests have any allergies or dietary restrictions the Chef should know about. 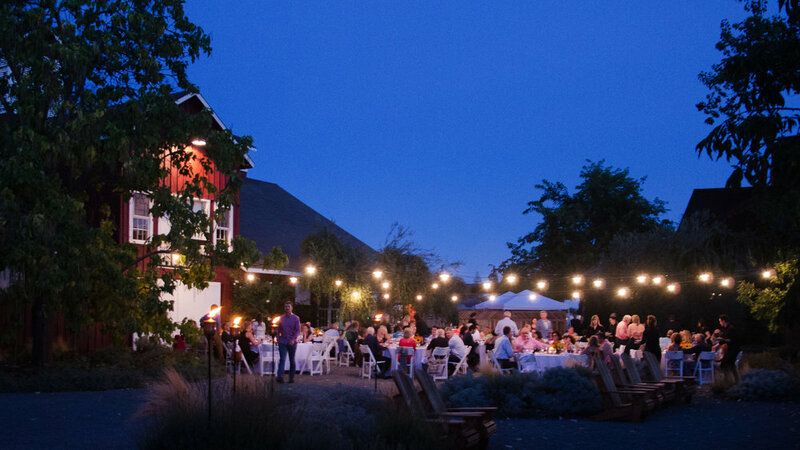 Please also feel free to visit our Harvest Moon Dinner FAQ page for more event information. We look forward to celebrating with you and sincerely appreciate your continued support as we look towards the future, and the excitement of our upcoming harvest.